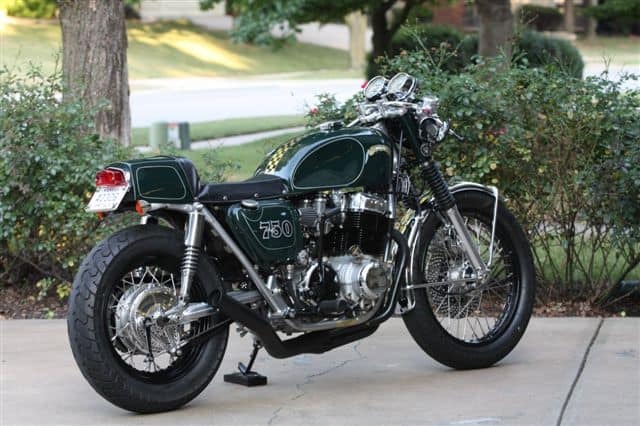 Well being Throw Back Thursday, here is a little CB750 I created some 7 years ago and still going strong today. Fun machine with tons of power and the response was bang on, all I did was ride the heck out of it until such time it was to send to the New owner and that bike was just a blast to ride anywhere. Just thought I would share today, have a great Thursday all as time always seems to go fast. It is hard to write a blog everyday but I try as I know you lot like to see all sorts of things and the emails I receive, ask me to continue to post articles, photos and anything that I like to be honest. Not sure who the Girl is, i think it is a friend of the owner of the BRG73. cafe Racer motorcycle from CAFE RACER on Vimeo. 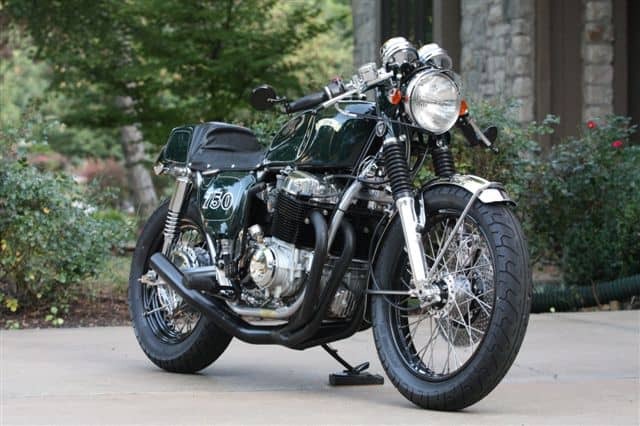 This entry was posted in Blog and tagged 4 into1, 4 stroke, 59 club, 750, ace cafe, bike shed, bobber, brat, British racing green, busy bee, cafe racer, cb750, cb750a, cb750f, cb750k, Cb750P, chopper, classic bike, custom, dime city, drag, Exhaust, Honda, Honda 750, inline4, japanese motorcycle, KickBack, rockers, sohc, standard motorcycle co, the one show, ton club, ton up, yoshimura.